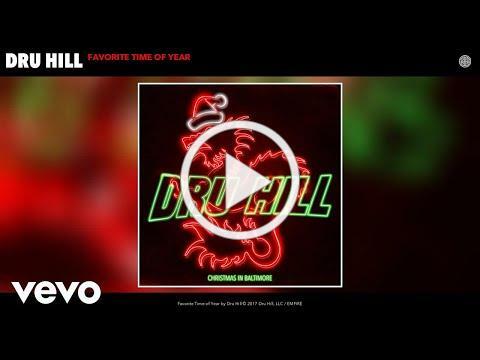 (BALTIMORE, MD) – December 8, 2017 – Multi-platinum recording group, Dru Hill, is proud to announce the upcoming release of their first full Christmas EP, Christmas in Baltimore! The 8-track project was produced by Grammy award-winning writer/producer Troy Taylor of Songbook Entertainment on their signature label, Dru Hill Entertainment, and is being distributed by Empire Distribution. Highly anticipated, Christmas in Baltimore marks Dru Hill’s fifth studio project and its first with Empire. It precedes another brand new studio album to be released in 2018. For the EP, Taylor and the super-soulful vocalists of Dru Hill have come together to give fans Christmas like they’ve never heard it before! From the classic “Silent Night” to the modern and slightly explicit “Tis the Season,” it’s literally an album you’ll have to download to believe. A snippet of its first radio single, “Favorite Time of the Year” was released on the group’s official Instagram page on November 10th to rave reviews. Fans have been waiting eagerly since the teaser and were finally able to bring the long awaited music home with their November 24th release. Comprised of members Tamir “Nokio” Ruffin, Mark “SisQo” Andrews, Larry “Jazz” Anthony, and Antwuan “Tao” Simpson, Dru Hill first rose to fame in 1996 with their debut single, “Tell Me” and they only add to their legendary music library with Christmas in Baltimore after boasting some of the biggest selling R&B songs of all time, including “5 steps”, “In My Bed”, “Never Make a Promise”, “How Deep Is Your Love”, “These are the Times”, and “We’re Not Making Love No More”. In a career that has spanned two decades, they have sold over 40 million records worldwide. As they gear up to celebrate Christmas with their fans, they also have more exciting surprises in store for 2018!! A new album is on the horizon. Dru Hill Entertainment is a premiere production house with a drive toward innovation and creativity in music and media. Founded in 2017, its debut projects include Christmas in Baltimore and Dru Hill’s sixth studio album, slated for a 2018 release.